Your Enveloping Mists heal the target for 1936 each time they take damage. Your spells and abilities have a chance to hurl a R.I.P that bounces among 0 enemies, dealing 9806 Fire damage to each. Beneficial spells have a chance to hurl a Mechanized External Needle Dispenser, healing up to 0 allies for 14535. Increases your Kul Tiran or Zandalari Engineering by 0.0025. Your heals have a chance to apply Bracing Chill. Healing a target with Bracing Chill will heal for an additional 6510 and move Bracing Chill to a nearby ally (up to 6 times). Taking damage has a chance to call your Personal Absorb-o-Tron, absorbing 100% of damage taken over 20 sec, up to 65091. Increases your Kul Tiran or Zandalari Engineering by 1. Life Cocoon's cooldown is reduced by 0 sec. When Life Cocoon expires, it releases a burst of mist that restores 35497 health split among the target and nearby allies. Your Vivify heals for an additional 1014. Vivify critical heals reduce the cooldown of your Revival by 0.0 sec. When your Renewing Mists heals an ally, you have a chance to gain 435 Haste for 10 sec. Your Enveloping Mists heal the target for 1127 each time they take damage. Increases a friendly target's movement speed by 70% for 6 sec and removes all roots and snares. Reduces magic damage you take by 60% for 6 sec, and transfers all currently active harmful magical effects on you back to their original caster if possible. Summons a Jade Serpent Statue at the target location. When you channel Soothing Mist, the statue will also begin to channel Soothing Mist on your target, healing for 977 every 0.9 sec. Reduces the cooldown of Life Cocoon by 45 sec. Enveloping Mist transforms 100% of its remaining periodic healing into a Dome of Mist when dispelled. Dome of Mist Absorbs damage. 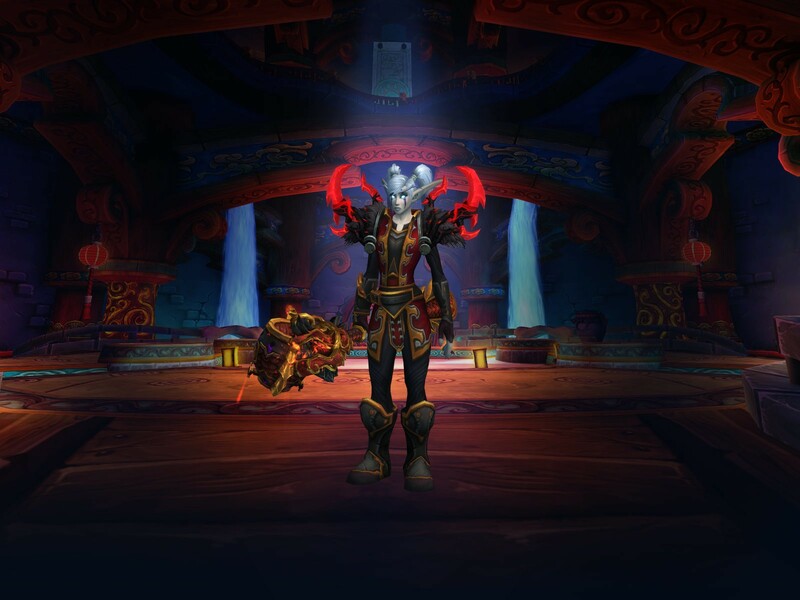 All healing received by the Monk increased by 30%. Lasts 8 sec. Increases the healing of Vivify by 20%, and Vivify refreshes the duration of Essence Font on targets it heals. Hurls a torrent of Chi energy up to 40 yds forward, dealing 1,774 Nature damage to all enemies, and 3,298 healing to the Monk and all allies in its path. Chi Burst generates 1 Chi per enemy target damaged, up to a maximum of 2. Consumes up to 10 stacks of Tigereye Brew to empower your Physical abilities with wind for 2 sec per stack consumed. Damage of your strikes are reduced, but bypass armor. For each 3 Chi you consume, you gain a stack of Tigereye Brew.